I have no further concrete evidence for Annie L. and Frank C. MacDonald. 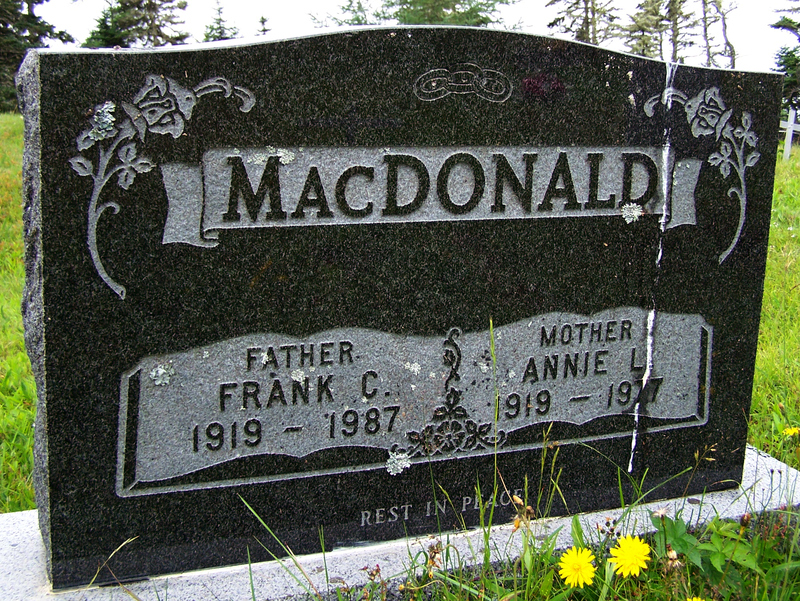 Frank may be the son of Ella Blanche McDonald and William Joseph MacDonald. A Frank was mentioned in the obituary of Olive Margueritte Jewers (nee MacDonald) as a brother. They would be in the same age group to be siblings. Atkins, Gordon Blair: Born December 24, 1911 at Harrigan Cove, Halifax County, NS, the son of Emma Alice Hape and Frederick Wallace Atkins. Atkins, Harold Frederick: Born May 15, 1913 at Harrigan Cove, Halifax County, NS, the son of Emma Alice Hape and Frederick Wallace Atkins. …and that ends the search for A surnames for the area.